I love getting birthday freebies! Some of them are freebies, some are free with purchase and some are just a discount. But anyway you look at it, they can all save you some money and help you celebrate another year on this planet. 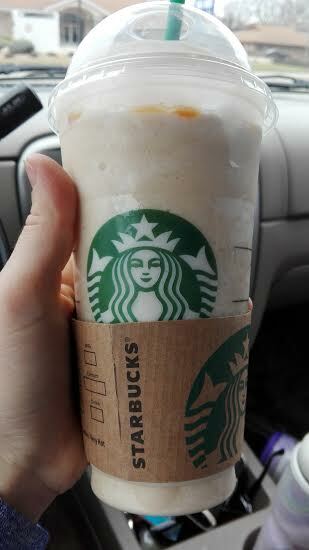 Enjoying a birthday freebie from Starbucks! Dairy Queen – Blizzard Fan Club members get a BOGO Blizzard. Erbert & Gerberts – Get a free sandwich during your birthday month. Walgreens – 5x Everyday Points all month when you use your Balance Rewards card. * Landry’s Select Club is a dining points “club” you pay $25 to join, but at the time when I joined many years ago I would get a free appetizer every time we went to Rainforest Cafe in addition to the $25 birthday coupon and the $25 one-time coupon they send you for joining. If you are going out to eat at some place not on this list for a birthday, just mention it to your wait staff and they often will do something (no coupon required), like give a free dessert. To get these freebies for yourself, just go to the company websites and sign up. Almost everyone of these I signed up online. You will be agreeing to receive mail (and special offers), so be sure to use an email account set up just for this purpose. Some of these I have been signed up for quite a while. Sometimes the freebies or discounts are the same from year to year and sometimes they are different. I also received emails from a couple local places to take a free yoga class on my birthday and to get 15% off any salon service the week of my birthday. Birthday freebies are a great way to celebrate your special day on a budget. What birthday freebies have you gotten? I LOVE when my bday comes around for all the freebies! Some of these I missed so Ill have to sign up for them ASAP mine is right around the corner. I love freebies, and birthday freebies are some of the best! I’ll have to sign up for some of these since they are not on my list. I love birthday freebies! I definitely eat well during the month of August! That’s a lot of discounts and awesome deals! I love restaurants that honor birthdays, they make your dining experience just a tad better! I hope you had a lot of fun! These freebies are awesome! Thanks for the tip! I only actually used 3 of the ones I had to go to a physical location and then 2 that were online. But I get all these emails every year and then I can choose. I do love getting birthday freebies as it gives you so much excitement on that special day. I have missed many in the past & you have shared some wonderful links which I would like to signup right away. 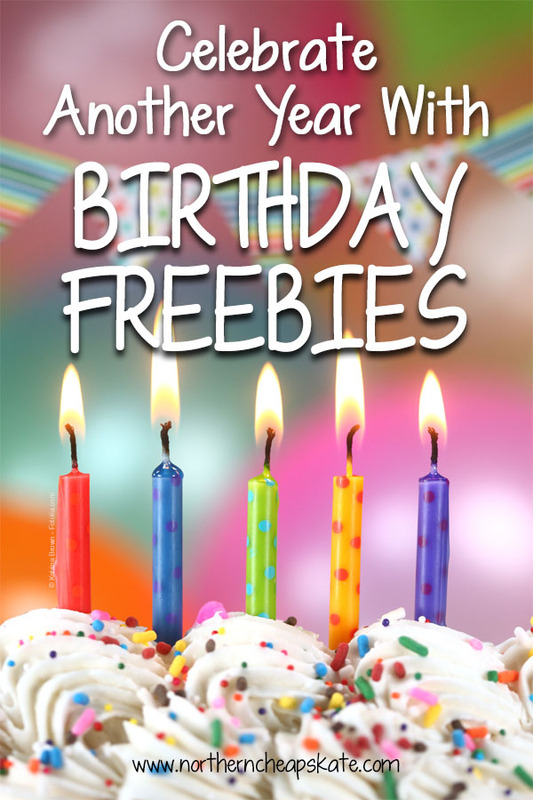 That is a really great list of freebies available for anyone on their birthday. Even better for those who live close by these places.